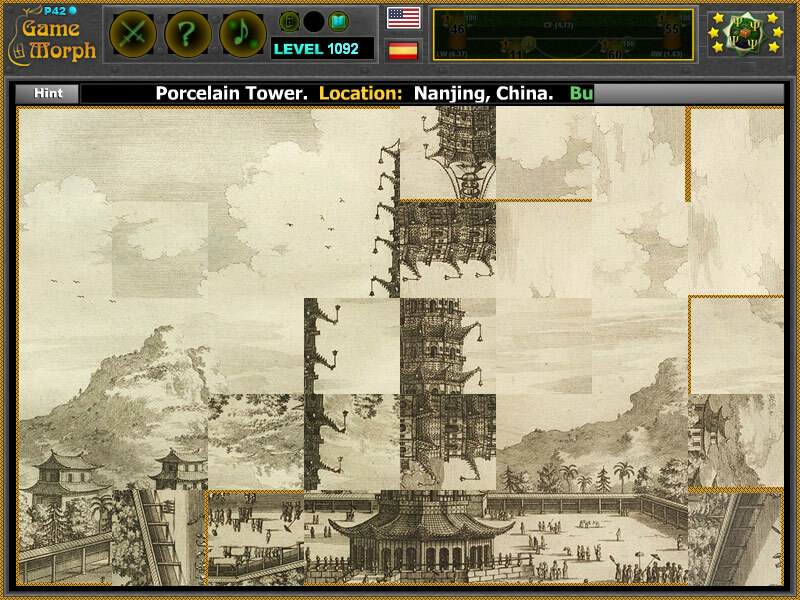 Porcelain Tower of Nanjing world wonder in a fun online history puzzle. 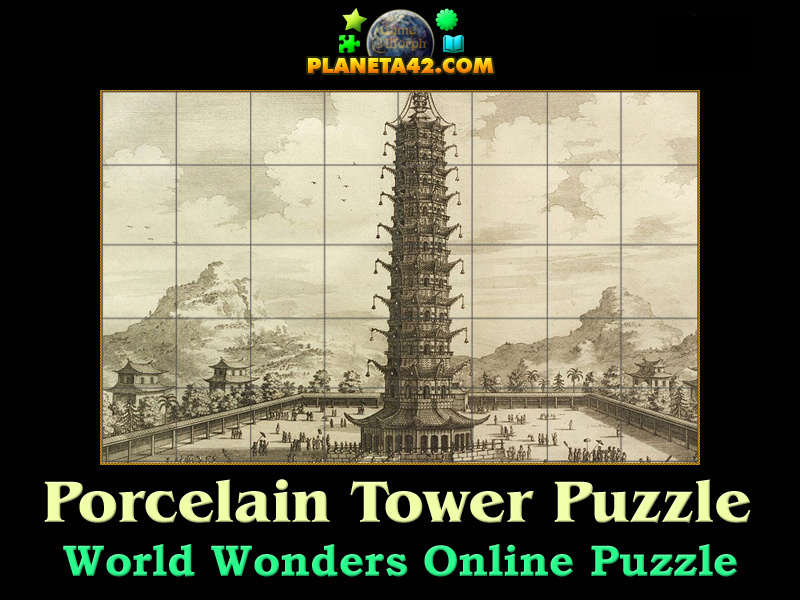 "Porcelain Tower of Nanjing Puzzle" is a fun square rotating puzzle to sort 40 squares puzzle of the Porcelain Tower of Nanjing wonder of the world. Fun online history puzzles for desktop computers, laptops and tablets, which may be played in the web browser. Wonders of the world game. How to play Porcelain Tower of Nanjing Puzzle. This is a common square rotating puzzle. Click on the puzzle pieces to rotate them, while they fit the original picture of the Porcelain Tower of Nanjing. Use the "hint" button to see which pieces left. Class subject: The Porcelain Tower of Nanjing. From Wikipedia: The Porcelain Tower of Nanjing, part of the former Bao'en Temple, is a historical site located on the south bank of external Qinhuai River in Nanjing, China. It was a pagoda constructed in the 15th century during the Ming Dynasty, but was mostly destroyed in the 19th century during the course of the Taiping Rebellion. A modern life size replica of it now exists in Nanjing. The Porcelain Tower of Nanjing was designed during the reign of the Yongle Emperor (r. 1402–1424), shortly before its construction in the early 15th century. It was first discovered by the Western world when European travelers like Johan Nieuhof visited it, sometimes listing it as one of the Seven Wonders of the World. After this exposure to the outside world, the tower was seen as a national treasure to both locals and other cultures around the world. In 1801, the tower was struck by lightning and the top four stories were knocked off, but it was soon restored. The 1843 book, The Closing Events of the Campaign in China by Granville Gower Loch, contains a detailed description of the tower as it existed in the early 1840s. In the 1850s, the area surrounding the tower erupted in civil war as the Taiping Rebellion reached Nanjing and the rebels took over the city.